New Gift Shop opens at the McCloud Hotel! 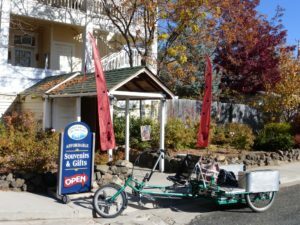 New shop opens at the McCloud Hotel! The Other Side of the Mountain (gift shop) has moved and is now located at the side entrance of the hotel! Something for everyone! Local art work, T-shirts, sweat shirts, mugs, holiday items, calendars etc… Check it out next time you visit!